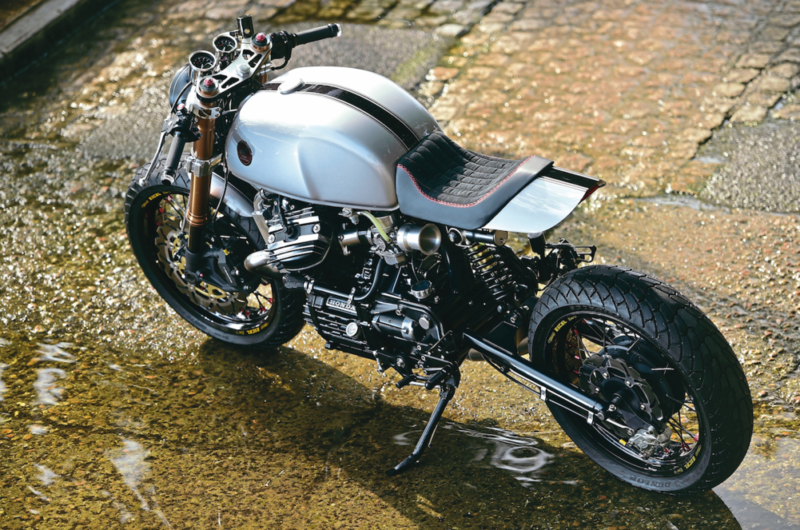 For Michael Michaels, the owner and builder of this absolutely stunning CX500 cafe racer, his came shortly after passing his bike test in his late 20s, and even more shortly after purchasing a Yamaha R1 as his first big bike. 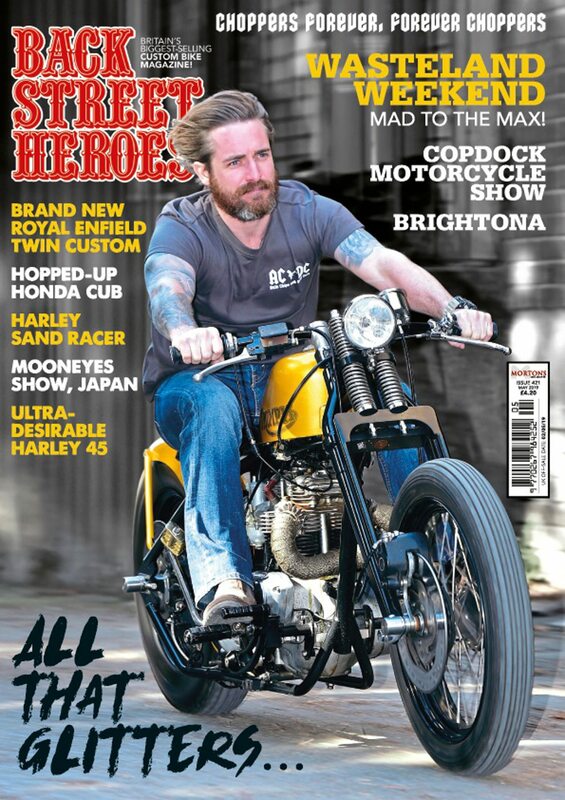 Yeah, I winced at that when I read it too – an R1 as a first big bike? Jeezus! He’d loved bikes from an early age and’d grown up messing around on dirt bikes, so it wasn’t as if he was a particularly inexperienced rider, but still – an R1 as a first bike, doesn’t bear thinking about, does it? Glad you’re still with us, Michael! After his serious accident he vowed that he’d not get on a bike again, as we all do at the time, but of course the itch, the compulsion, the need, whatever you want to call it, came back, and a few years later he started casting an inquisitive eye over what was available. 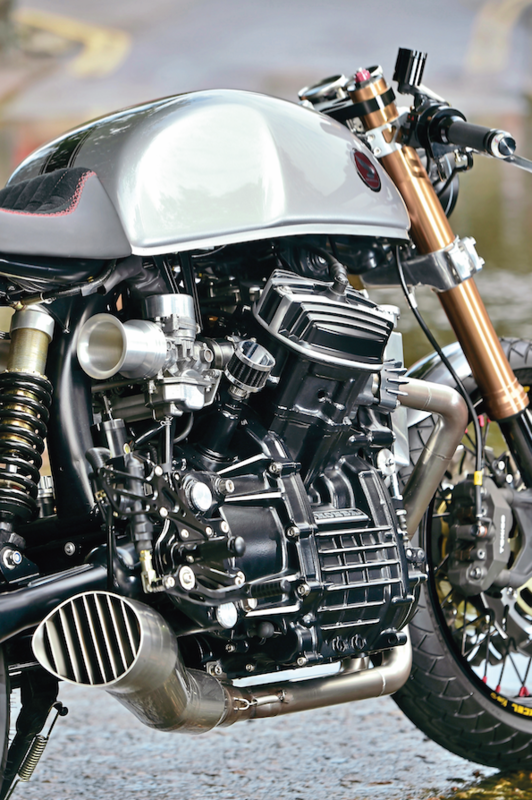 He was fairly sure he didn’t want another hypersonic sports bike though, and then quite by chance he stumbled across the custom bike scene… well, actually, the new skool custom bike scene of cafe racers, brats and bobbers, and fell in love with the idea of, and the ethos behind, them. 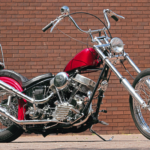 He really liked the idea of building a bike himself and so set about checking out other builds that caught his eye to see exactly what other people were doing and how exactly they were doing it. He soon came to the conclusion that while there were a lot of good builds out there, there were also a lot of very average ones too and, whatever he was going to do, his wasn’t going to be average in any way, shape or form. Try your brakes. Good idea! 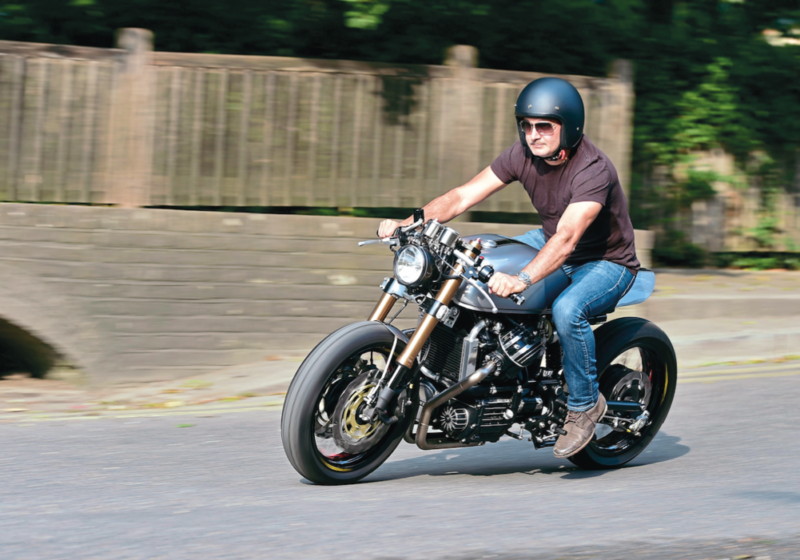 In 2016 he bought a 1981 CX500 off eBay and, once he’d got over the shock of how physically big, heavy and cumbersome the fabled Plastic Maggot was, set about stripping it down to make it smaller, lighter, more svelte – a shadow of its former self if you like. Having a respected car bodyshop in which to do all the work was a big help, as was having a good friend, Luis, who was as fired up about the project as Michael was, and over the next year and a bit the pair of them turned that (f)ugly duckling into the swan you see here. 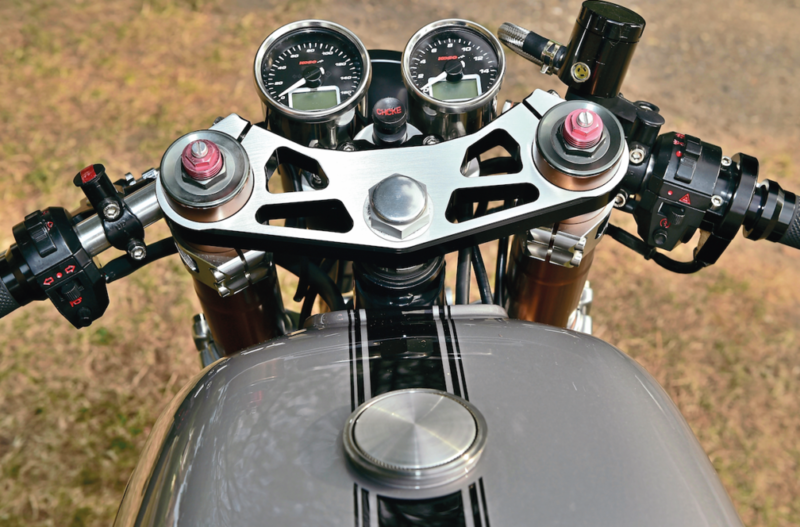 All the fabrication, all the build work, all the wiring, the paint and the hosing, was done in-house by the pair of them, and they spent long hours trying different things to get the exact look they were after. The ’orrible Comstar wheels were stripped and converted to spoke fitment (Cafe Racer Kits sell the flanges to do this at www.caferacerkits.co.uk), and the new and sexier 17-inch rims laced to them. Dunlop Mutant supermoto tyres were then fitted. 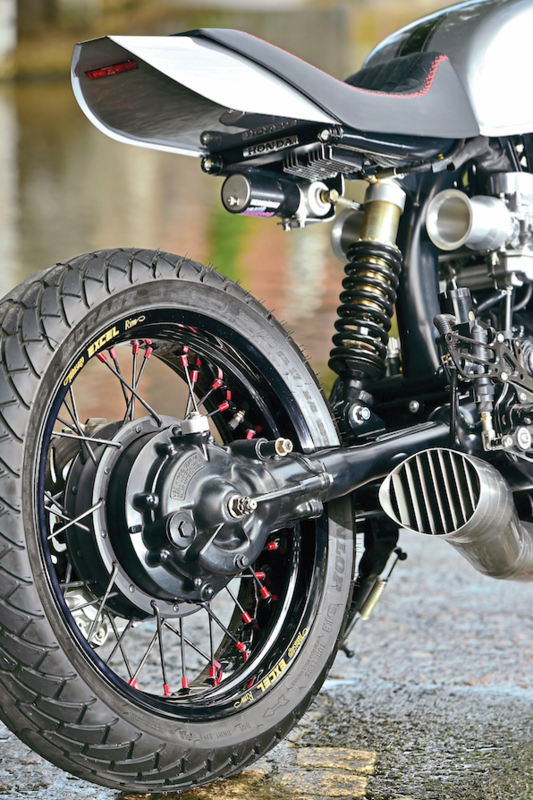 Brakes-wise, a set of aftermarket wavy discs were sourced, and the fronts fitted with Tokico four-pot calipers, affixed to the legs of a set of GSX-R1000 upside-down forks held in one-off sculpted yokes. At the rear, they modified the stock CX swingarm/shaft arrangement to work in a monoshock-stylee, and added a Brembo caliper to the last wavy disc. Of course, having modified the swingarm to work as a monoshocker, with a Marzocchi fully adjustable shock (natch), they needed to ensure that the area it mounts to the frame was equally as tidy. 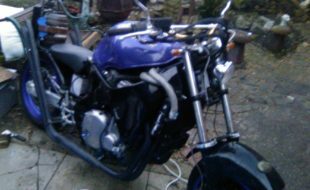 A new subframe and tailpiece were made, and the battery and the expansion tank for the radiator fitted into the space behind the seat. 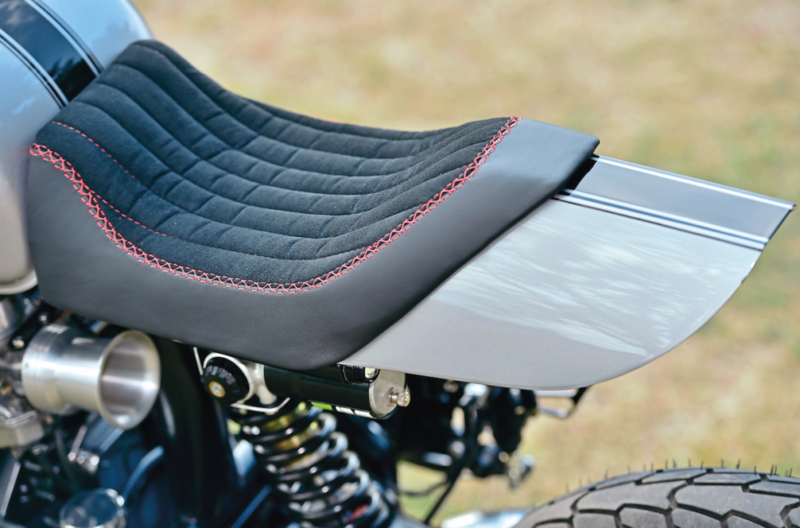 The seat is new, flowing into the back of the modified stock tank, which’s been smoothed and flowed to make it less angular, and fitted with a new cap that’s much more the part than the bulbous ol’ breadbin that CXs came with as stock. The engine was given the once-over and painted, polished and detailed, and fitted with new one-off velocity stacks and an exquisite two-into-one exhaust system, with internal baffling and a louvered outlet, that looks so good you wonder why no one else has really done it this way before. A new slimmer and more unobtrusive rad’ was made and fitted, the motor jetted and that, as they say, was that. 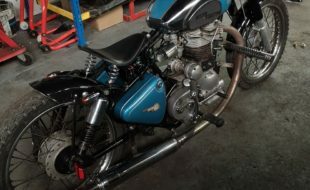 ’Cept of course it wasn’t – the whole thing needed to be wired, have the new headlight, tail-light and indicators attached, the new Koso speedo and rev-counter hooked in, and the million-and-one other jobs needed to get a bike up and finished done too. 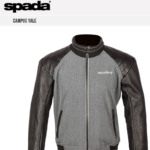 They also painted the ’Onda, in a lovely shade of Porsche silver with coach-striping and new badges, and finally stood back to assess the fruit of their labours. Porche silver with coach-striping. Job done! 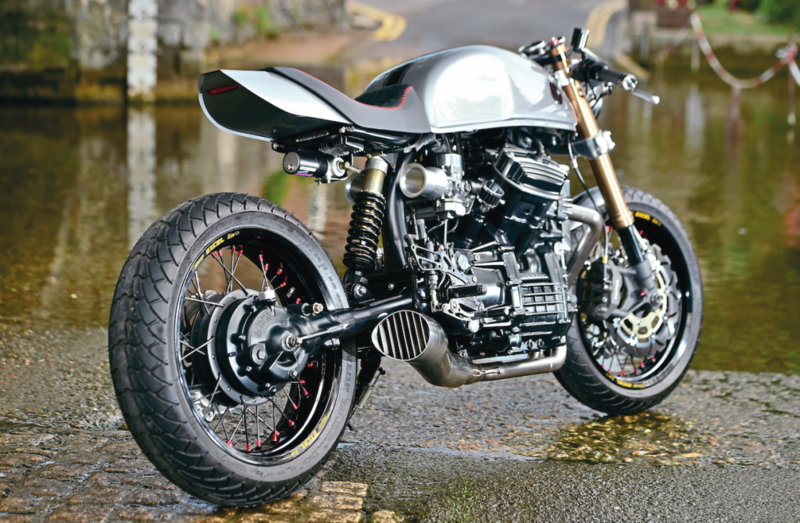 The finished bike was entered in the Bike Shed Show at Tobacco Dock last year, and Michael was almost overwhelmed by the fantastic response it got from both the public and from other builders. It also impressed the chaps from Honda UK so much that they borrowed it for their stand at Wheels & Waves a few weeks later, and also for Glemseck101 as part of their ‘Past & Present’ display. Having this level of interest shown in the first bike Michael and Luis’ve built means they can’t really rest on their laurels, and so plans are now afoot for a second build. Watch this space!